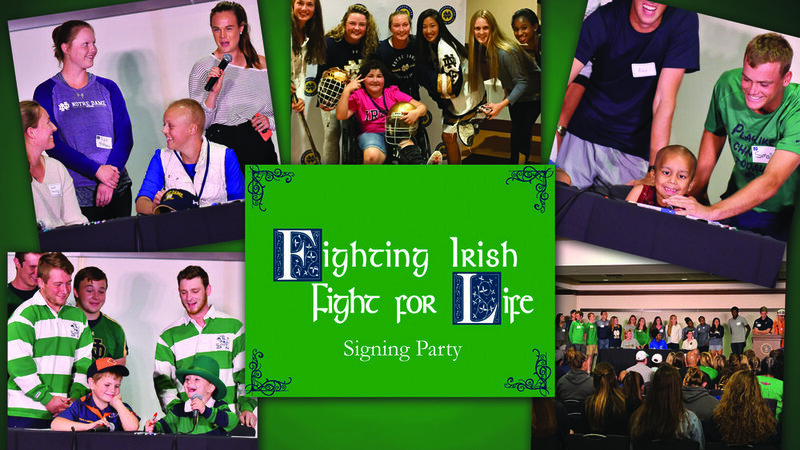 The annual signing day party kicks off Fighting Irish Fight For Life program which pairs Notre Dame varsity teams with pediatric cancer patients from local hospitals. Student-athletes lead a five week program that incorporates different lessons of leadership, respect and teamwork through basketball at local elementary schools. 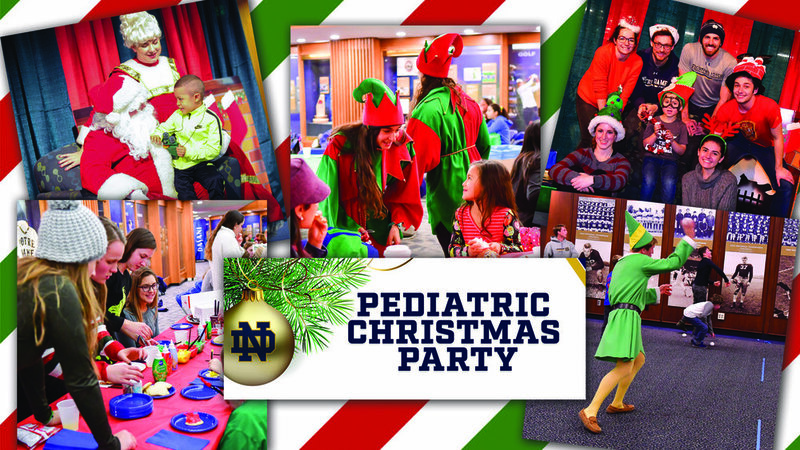 Student-athletes from all sports participate in the annual Pediatric Christmas Party which hosts pediatric patients & their families from local hospitals for a night of fun & holiday cheer! A Notre Dame Student-Athlete Advisory Council (SAAC) initiative, Athletes For Athletes, offers opportunities for our student-athletes to connect with individuals with intellectual and developmental disabilities in the South Bend Community and celebrate athletes of all skill levels. In 2018, Notre Dame Student-Athletes piloted a new initiative that paired members of each sports team with individuals with intellectual and physical disabilities in the South Bend community and celebrated athletes of all abilities with an hour long program in Notre Dame's North Dome. Started by two Notre Dame Student-Athletes in 2015, One Shirt One Body continues to impact the South Bend community through their annual t-shirt drive and Distribution Day at local middle schools. If your request applies to all the NCAA Bylaws noted on the form, fill it out and return to Dawn Mays, Administrative Assistant of Student Welfare and Development, at C113 Joyce Center, Notre Dame, IN 46556 at least 6 weeks prior to the date of the event. The form must be accompanied by a detailed explanation of the purpose of the event and the proposed activity on official letterhead of the organization holding the event. Be sure that the Agency Representative signs the form in the Approval box at the end of the form. Please know that, due to the high volume of requests that we receive, we are not able to guarantee that we will have an athlete available for your event.